Before passage of the Occupational Safety and Health Act in December 1970, millions of Americans risked their lives every time they reported for duty – there were no national safety laws designed to protect workers across industries. 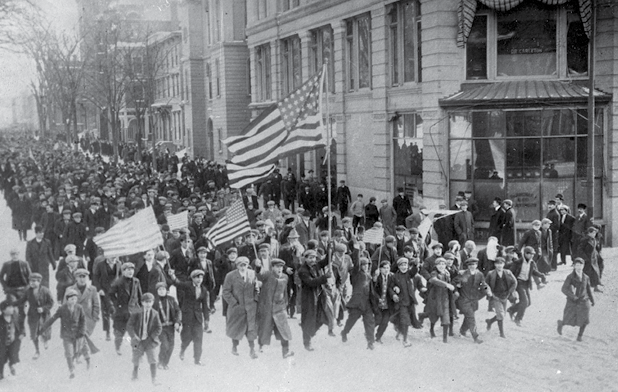 Strikers marching during the 1912 “Bread and Roses” textile strike. January 11, 1912 – The Industrial Workers of the World (IWW) organized the “Bread & Roses” textile strike of 23,000 workers, including immigrants from many different countries, in Lawrence, MA. A new state law changed the work week from 56 hours down to 54 hours per week. The mill owners docked the pay of the workers for the lost two hours, while at the same time speeding up the looms to make up for lost production. Textile workers walked off the job shouting “Short pay!” when they realized their weekly pay was cut. 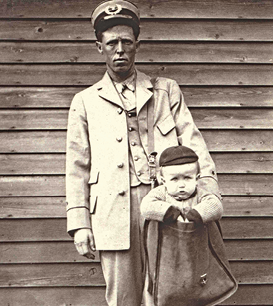 A letter carrier delivers a live baby, which became outlawed in 1916 when post office management set a weight limit on packages and barred the shipment of humans. St. Paul public school students join teachers on the picket line. 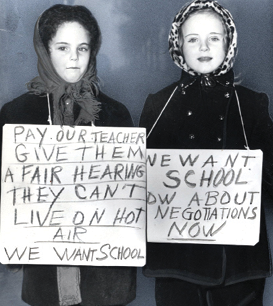 October 1946 – In 1946, the idea of a teachers’ strike was revolutionary. But faced with severe underfunding, nearly 90 percent of St. Paul, MN, public school teachers voted in favor of an illegal work stoppage. The strike wasn’t only about pay – teachers walked picket lines for better schools. As a result, they enjoyed wide support, with students and parents joining their protests. 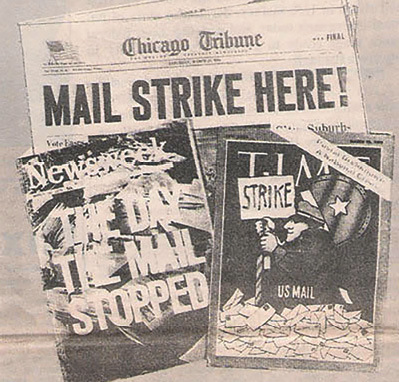 The strike began in 3-degree weather, and lasted for five weeks. The teachers suspended the strike after St. Paul officials agreed to designate city funds to schools. (07/2016) A little solidarity can go a long way. Thirty-five years ago, Canadian postal workers launched a 42-day strike for paid maternity leave – and won. The Canadian Union of Postal Workers (CUPW) was the first federal union in Canada to win 17 weeks of paid maternity leave – and they did it by building an alliance with the women’s movement. 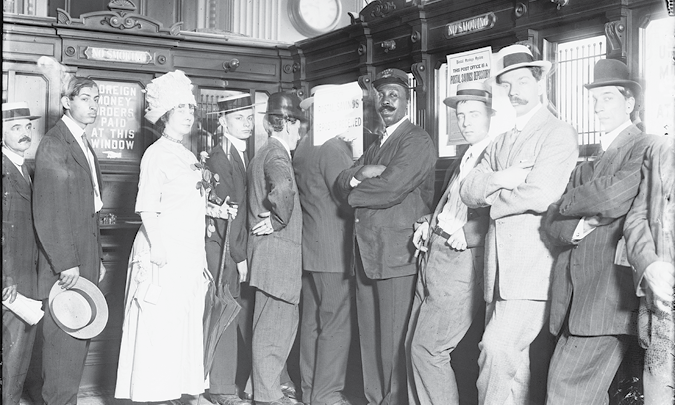 The first depositors at the New York Postal Savings Bank. Once upon a time, in a not-so-far-away land, working people were able to safely deposit and withdraw their hard-earned dollars, with no excessive fees or fuss. Everyone had access to safe savings accounts, regardless of how much money they made or where they lived. 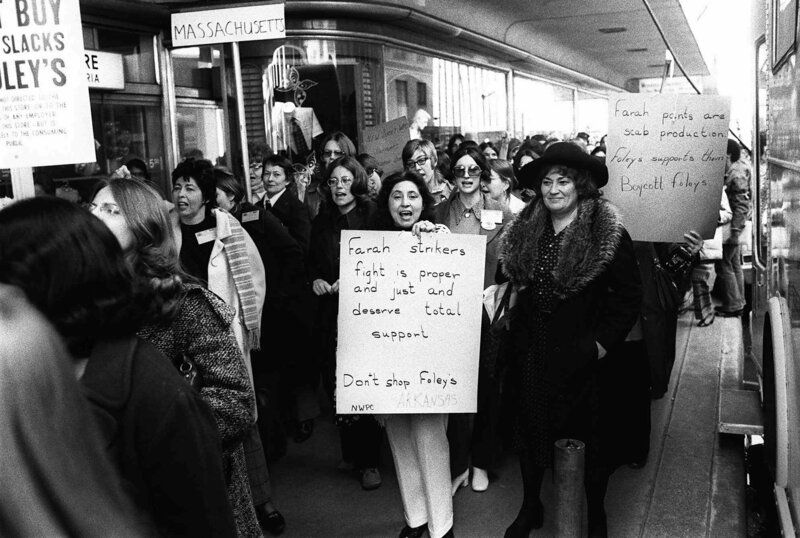 line supporting striking Farah workers in Houston on Feb. 10, 1973. Factory boss Willie Farah said he’d rather be dead than see his company go union. But the women workers in his clothing factory had something up their sleeves. Between 1972 and 1974, thousands of Farah Manufacturing Company workers walked off the job, organized a nationwide boycott, and won a union. Eighty-five percent of the strikers were women, and almost all were Chicano, or Mexican-American. Their fight for a union also changed the way the women saw their role in society: They became leaders – at work, at home, and in their communities. 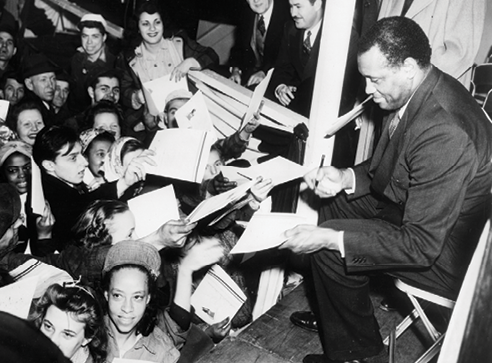 Robeson signs autographs after a 1924 concert for naval workers. Paul Robeson was an internationally acclaimed singer and actor, an outstanding athlete and intellectual, an outspoken advocate of racial justice and workers’ rights, and a fierce opponent of colonialism and fascism. 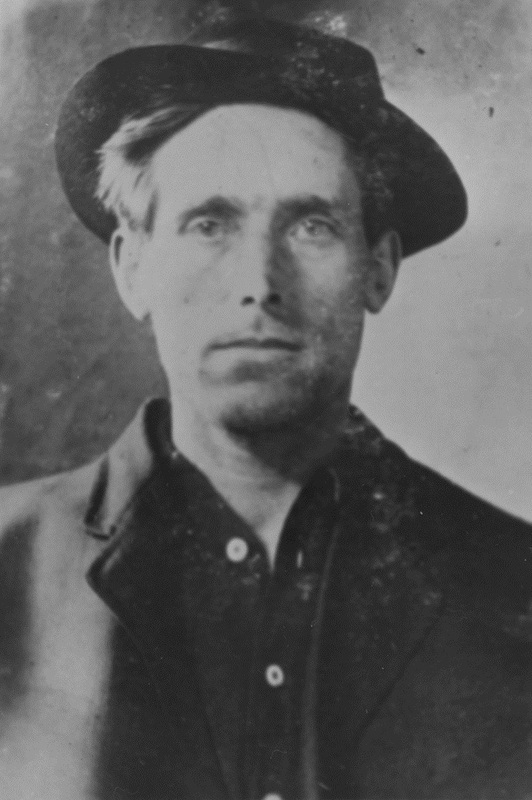 One hundred years have passed since a firing squad at the Utah State Penitentiary executed Joe Hill at sunrise on Nov. 19, 1915. The renowned labor organizer had been framed on a murder charge.